The Elmore Sports Group and Milwaukee Brewers announced today that they have agreed to a player-development contract (PDC) in ColoradoSprings that will run through the 2020 season. The former Helena, Montana franchise will begin play in Colorado Springs as a member of the Pioneer League's Southern division in2019. The team will continue to play their home games at Security Service Field, where Triple-A baseball was hosted for the previous 31 seasons. "We are excited to continue the partnership with the Elmore Sports Group as they usher in a new era of professional baseball in Colorado Springs," said Brewers Farm Director Tom Flanagan. "Fans will sense the excitement of rookie level baseball, as our players will make their affiliated baseball debut at Security Service Field. Colorado Springs will be an excellent first stop on their journey to the Major Leagues." "We are thrilled to extend our partnership with the Brewers organization as we welcome in the newest era of Colorado Springs professional baseball," said Colorado Springs General Manager Chris Phillips. 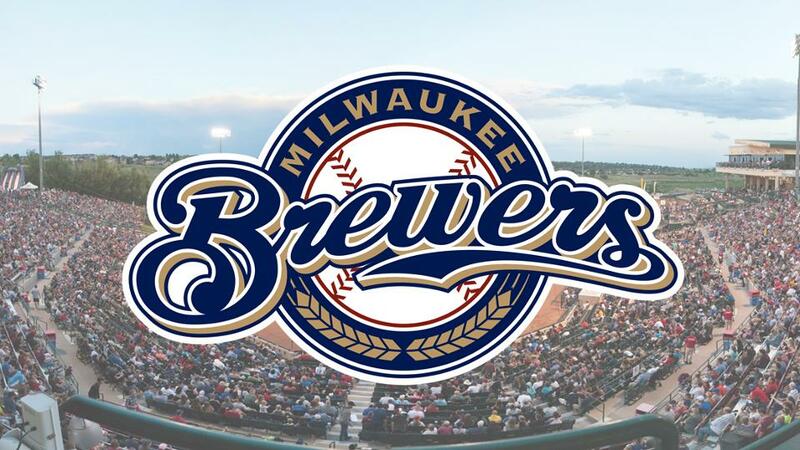 "We appreciate the remarkable relationship we have developed over the past four seasons with Milwaukee and are excited to host some of the newest and best talent in Minor League Baseball." The Helena Brewers concluded their stay in Montana following their 2018 campaign, where, with the exception of 2001 and 2002, they had an affiliation with the Brewers since 1985. The Helena franchise won four Pioneer championships, and had 134 different players make the big leagues. The Pioneer Baseball League is a short-season, professional minor league with a 76-game split schedule for each of the eight teams. In the playoffs, first-half division winners will play second-half division winners in best-of-three series. Then the division playoff winners will meet for a final best-of-three series. The Pioneer Baseball League is classified Rookie Advanced, making the league a premiere launchpad for players beginning their professional careers. The Colorado Springs affiliate will join the ranks of the Southern Division, which will also include the Ogden Raptors (LAD), Orem Owlz (LAA), and Grand Junction Rockies (COL). Next year will mark the fifth consecutive season where the Brewers have had a player development contract in Colorado Springs.